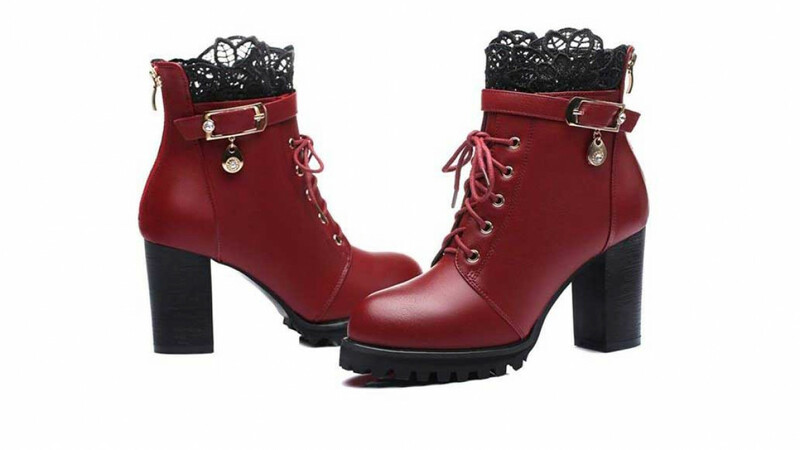 A cute pair of fashionable boots with a touch of lacy elegance. These boots are available in both red and black and available in most sizes. The sole is made from slip proof rubber so that they are easy and comfortable to walk in, the heel is nine centimetres high. Great with jeans or with your favourite dress. Features include a rounded toe and an adjustable ankle buckle which helps to make sure they fit just right. The soft PU leather is comfortable to wear and fashionable.